Charnwood Museum is a popular family friendly museum set in the heart of the beautiful Queens Park in the centre of Loughborough. 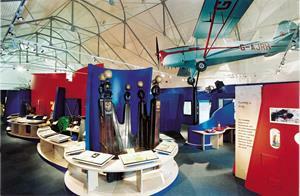 The Museum features a wide range of exhibits which reflect local history and industries. Located in Loughborough town centre on Granby Street.